Head coach of the Super Eagles, Gernot Rohr, has said that London will not be a choice of venue for their next international friendly. The German was speaking after their second game in this FIFA window against Burkina Faso was cancelled. The match was called off, after some Burkina Faso players failed to get British visas. Four days before, Nigeria held Senegal to a 1-1 draw at The Hive Stadium in London. 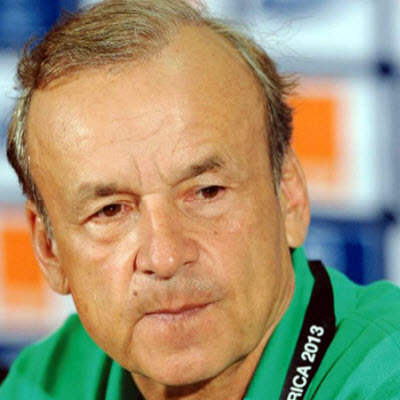 “Getting UK visas is too complicated, you know,” Rohr told newsmen. “I think it’s better to stay in Schengen, in Europe than go to London where the people have problems. Even some players in our team couldn’t come, you know. They didn’t get the visa in time. “We tried to find another team but it was too late. “We had one very good game against a Senegal team that was so strong, so powerful, we learned a lot. Now we look forwards to our next games. “The second game, between us, I could see everybody.